Our society’s taste for content has evolved considerably over the last decade. Where once we were happy to fill our minds with prose, we are now stuffing our faces with visual content. This is attributed to the digitization of modern experiences, alongside a push for more mobile content. You’d be forgiven for thinking visual content is the only focus in today’s landscape. Images, videos and bite-sized visual content — like the kind you’d see on Instagram or Snapchat — are rampant in much of today’s marketing. It is estimated that 79 percent of all internet traffic will be video-related by the end of 2018. But another form of content has seen a resurgence in recent years: audio based. Things such as audiobooks, podcasts, and online-based talk shows have become remarkably mainstream. We say ‘remarkable,’ because audio content was initially popular in the early 2000s, when it had its heyday and then evaporated. Almost 1 in 5 Americans listen to audiobooks regularly, while 40 percent listen to podcasts. In fact, 15 percent of Americans listen to podcasts at least once a week. We’re seeing this change because consumers and professionals alike now have a seemingly endless hunger for knowledge, which audio content feeds in new ways. Consider a conversational podcast from an experienced influencer like Tim Cook or Elon Musk. Many tune in to be a part of that integrated experience. Perhaps the best part about audio content is that it can be consumed anytime, anywhere which is ideal for mobile solutions. You can pop on an interview or discussion during your morning commute, while relaxing on a lunch break, or even in the office while working. As part of an annual survey, Statista asked U.S. adults if they had listened to a podcast during the month leading up to the study. As of January 2018, 24 percent of all U.S. adults had listened to a podcast sometime that month, and 15 percent had listened to one in the last week. This amounts to an estimated total audience of over 78 million Americans. These figures show audio content is not something to be scoffed at. It’s popular, and continues to grow in popularity, which means it’s a suitable way to reach a broad audience. How does audio content work and why is it so desirable? Much like with visual content, an audio experience can encompass a lot of emotion. Through someone’s voice, you can discern tone and feeling. Instilling a sense of urgency or import is also possible. Also, such expressions can be immediately understood by audiences. The nature of audio content entails that it can be enjoyed while other things are going on. In the example above we talked about listening to a podcast at work. This isn’t something unheard of; people tend to like background noise while doing various activities. This probably helps explain why podcast listeners tune-in to an average of 7 shows per week, up from 5 total in 2017. Content of any kind is best when available in a wide variety. This gives people the freedom to choose their programming. Audiences can decide when and what kind of audio they are going to consume. Moreover, audio can be engaged in many ways. Podcasts can be delivered in audio files, which can be listened to on mobile, media players, and even stereo equipment. Those same podcasts can also be delivered through video content, such as on YouTube. This variety of options is what consumers love. 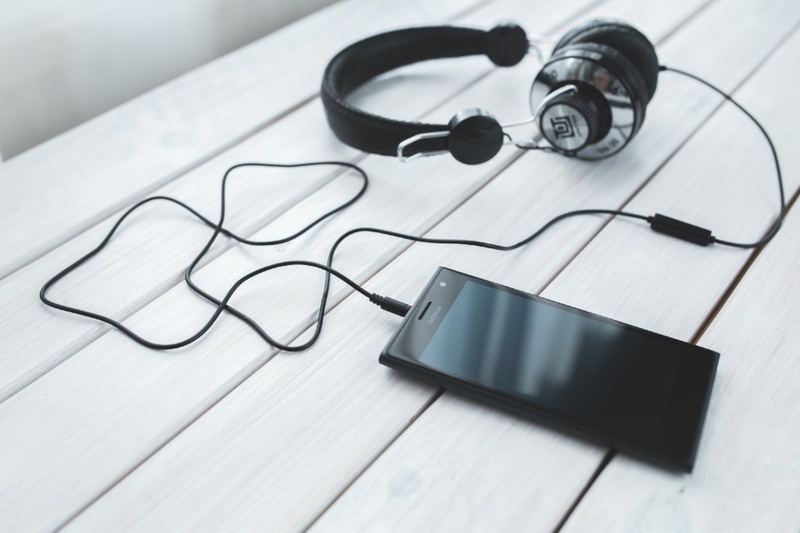 Nearly everyone has a mobile device these days, which is the perfect platform for playing audio — be it a streamed podcast, YouTube video, or MP3 file. Audio is easily accessible to everyone, which is a massive driver in its popularity. We’re at a point where more convenient technologies -- like smart voice assistants -- are taking hold. For instance, Android has Google Assistant, which is also available on Google Home devices. Then there are Siri, Alexa from Amazon Echo, and Microsoft’s Cortana. Audio content aligns well with current trends, and will continue to do so in the future. In 2018, six million more Americans per week are listening to podcasts than in the previous year. When you’re putting together any form of content — audio included — quality is of the utmost concern. Just delivering monotonous speech isn’t enough to draw in a loyal audience. Consider what you're giving back and what your users might get out of it. One suggestion is to use existing quality content and then make it available via listening channels. You can also employ audio from webinars, public speeches or events, interviews, and podcast-style discussions. Just keep in mind that it should all be useful, engaging information that you would want to listen to in your free time. As long as the content is desirable, anyone can achieve success on this front. That’s precisely why brands are turning to state of the art podcast solutions or embedded audio platforms for both internal and external communications. It’s a robust way to not just entertain, but also engage with consumers. This helps improve the customer experience by delivering fresh, exciting ways to interact with a brand or service. With an emphasis on next-generation technology, experience-oriented marketing that uses mobile apps continues to drive today’s business environment.